Welcome back to what will officially be a series of reviews based on, you guessed it, just one play! So here we are, looking at a game that I’ve been wanting to play for many months. The premise of Above and Below is like this: what if Minecraft was a Euro resource management board game? Each player runs their own village- constructions buildings and training villagers. Doesn’t sound unique so far, right? There’s tons of Euro games that do that. Everything I just said so far is a solid part of the game, but it doesn’t end there. Villagers will go exploring underground searching for previous resources and, most importantly, adventure. When exploring, another player will read a sort paragraph from an encounter book, then give the active player a couple choices. The encounter stories are succinct, but interesting. Typically the choices are “explore” which kind of represents searching, etc., “fight,” or something similar. On my last explore of the game, I ended up singing to someone. The active player will then roll dice on a fashion that is simplistic, and while not super thematic or unique, still exiting and completely functional. You’re basically trying to get lantern symbols, which represent your degree of success. While I’m not a huge fan of games using a generic point system, rather than more thematic objectives, the point system in Above and Below seems very balanced and offers players multiple avenues to earn them. Village Points appear in several different places: on building and outpost cards (buildings that can only be built on top of cave cards from successful encounters), on a reputation track (you earn/lose reputation from encounters) and on your advancement track. Now the advancement track is an interesting part of the game where you attack resource tokens. Without going into a lot of detail as to how it works, it essentially gives you points for having a variety of goods in your stash, except if you can have lot of a resource that you discovered later on in the game, you’re going to get a lot more points. On to final thoughts: first, Above and Before was a little heavier than I thought. 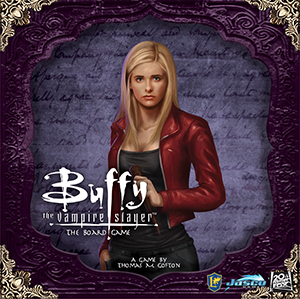 The box cover is beautiful but looks a little cartoony or at least has a middle weight kind of look to it. Above and Below is anything but middle weight, though. It’s probably 7 out of 10 in my book. Our first play was a little over two hours with four players, so it’s quoted time of 90 minutes on the box is pretty accurate. I could see getting it down to around an hour and fifteen minutes with an experienced group 2-3 players. 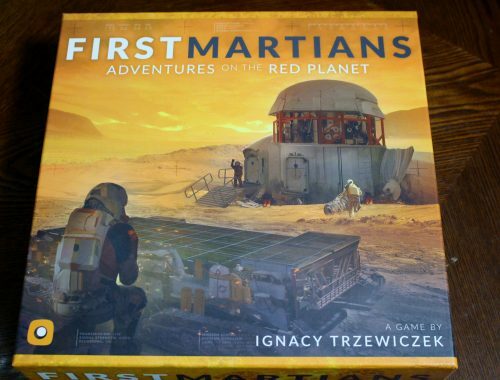 The game moves at a really good pace- actions are quick and the designer, Ryan Laukat, did an excellent job at coming up with an exploration system that doesn’t bog down the game and keeps it exciting for the whole group. 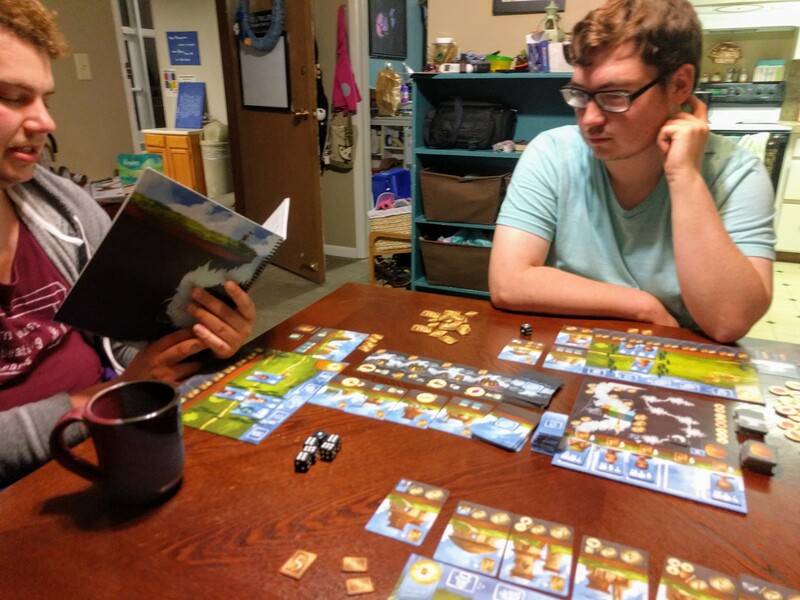 I don’t really need to drag this out- I absolutely love Above and Below. In a market of so many board games that play, look or feel similar, Above and Below completely sets itself apart. Ryan Laukat is an absolute master designer and he proves it in Above and Below. Are there possible cracks in the design? Possibly. I’m guessing there are certain strategies that could be superior to others. I can’t imagine players doing all that well without exploring at least somewhat. However, for a $50 MSRP game that I would play 3-5 times a year consistently, that’s not really something I’m worried about. I liked Above and Below so much, I not only immediately preordered it’s heavier spiritually successor, Near and Far, but I will also probably end up buying Above and Below myself even though I’ve of my good friends owns a copy. 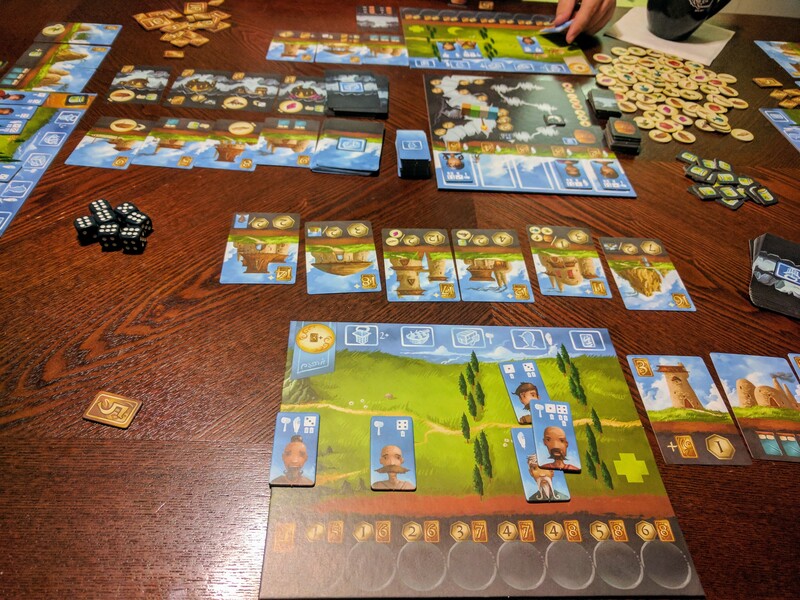 Above and Below gets an A+ in my book!